A far-left candidate running for Congress in Pennsylvania has criticized a Supreme Court ruling that upheld laws meant to protect sexually abused children and opposed efforts to fund police and mandate minimum sentences for sexual harassment while serving as legislative director for a prominent criminal defense attorneys group. 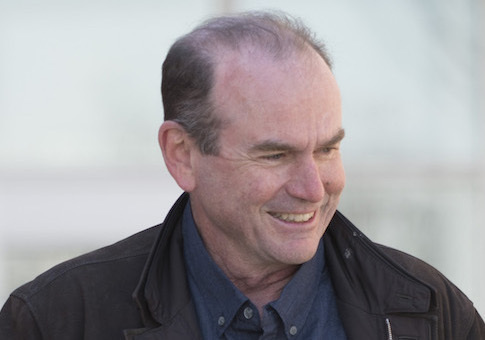 Scott Wallace, the Democrat who is challenging incumbent Republican Brian Fitzpatrick in Pennsylvania's first congressional district, is the grandson of former vice president Henry Wallace and inherited a fortune after his grandfather's company was sold in the 1990s. Wallace spent years running the Wallace Global Fund, his family's foundation created in 1995, which has disbursed millions to radical left-wing groups while devoting no funds to organizations or groups located in the district he is seeking to represent, the Washington Free Beacon previously reported. Prior to Wallace's involvement with the fund, which dates back to at least 1995 when he was listed as a "Director" on its board, Wallace was the legislative director for the National Association of Criminal Defense Lawyers for seven years from the mid-1980s to the early 1990s. As Wallace was acting as the legislative director with the criminal defense organization, which is based in Washington, D.C., he argued that there is no such thing as victim conduct being off limits. During the trial of Matthew Solomon for the murder of his wife, Lisa, Matthew's lawyer Jeffrey Waller raised questions during the trial about Lisa's temper and said that she "liked to go to bars." Wallace, responding to concerns about the rights of victims, said that there is "no such thing as victim conduct being off limits," according to a quote from a New York Times article in 1988. Matthew Solomon was found guilty of strangling Lisa Solomon and stuffing her body in a garbage bag before dumping it outside of their apartment complex. Solomon was sentenced to 18-years-to-life and was denied parole for the seventh time in 2017. Later, in 1990, Wallace criticized a Supreme Court ruling that upheld laws allowing children who were sexually abused to be allowed to testify and be cross-examined at a separate location rather than being forced to testify while the alleged perpetrator sat across from them in court. Wallace said the Supreme Court's decision could lead to false accusations. "This decision increases greatly the chances of a false accusation not being discovered and increases the risk of an innocent person being convicted and sent to prison," Wallace said in a 1990 Newsday article. Wallace added that it "may send a signal to experiment with other kinds of witnesses where there is a likelihood of serious emotional trauma." Wallace later criticized a bipartisan crime bill passed by the U.S. Senate in 1993 that allocated more funding to police forces and mandated minimum sentencing guidelines for violent crimes in addition to crimes involving sexual harassment and offenses involving firearms, calling it "controversial" in a December 1993 column published in the Indianapolis Star. Wallace also lambasted the "hidden costs" of hiring 100,000 police officers to address the U.S. crime problem during the time, Fox News previously noted. "The 100,000 cops on which the Senate wants to spend $9 billion will not simply be fired at the end of five years; someone will have to continue paying them," Wallace said. "Scott Wallace did everything in his power to undermine victims of abuse," said Chris Martin, spokesman for the National Republican Congressional Committee. "This is just yet another example of his record being too extreme for Pennsylvania's 1st District." Following his stint with the National Association of Criminal Defense Lawyers, Wallace helped run his family's fund as a director on its board and later took over its operations alongside his wife until stepping away from the position before the current election cycle. Wallace lived in Maryland and South Africa before moving back to the district to run for office. The fund, under Wallace's leadership, disbursed millions to a number of controversial far-left organizations including groups that promote the boycott, divestment, and sanctions (BDS) campaigns against Israel, groups that advocate for taxing families for "irresponsible breeding," and financed legal representation for a number of Guantanamo Bay detainees "just after 9/11." Wallace's campaign did not return a request for comment.